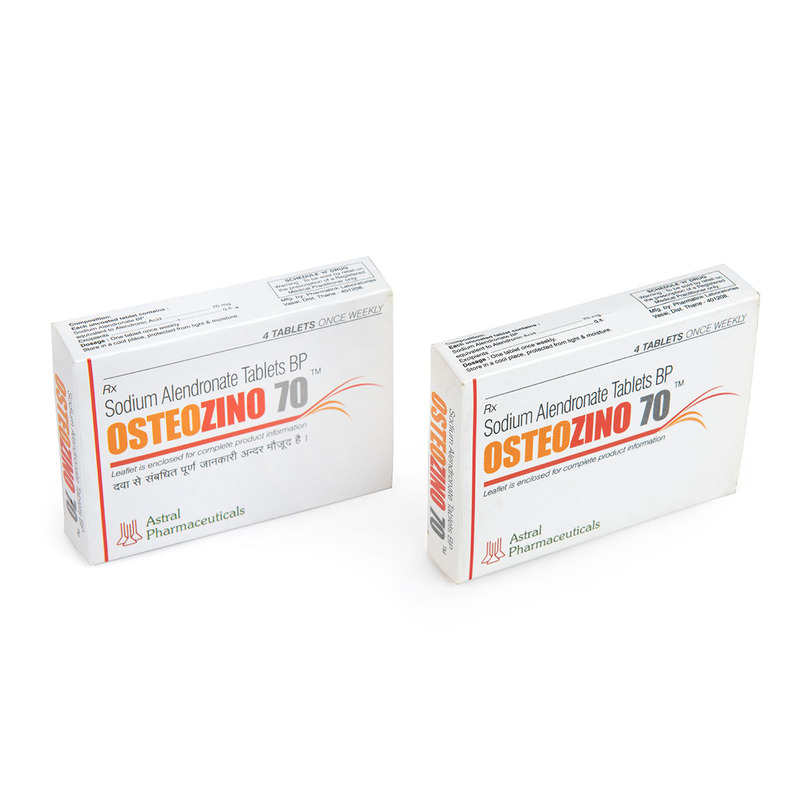 Osteozino is widely used for the prevention of osteoporosis. The recommended dosage is 70 mg once a week. 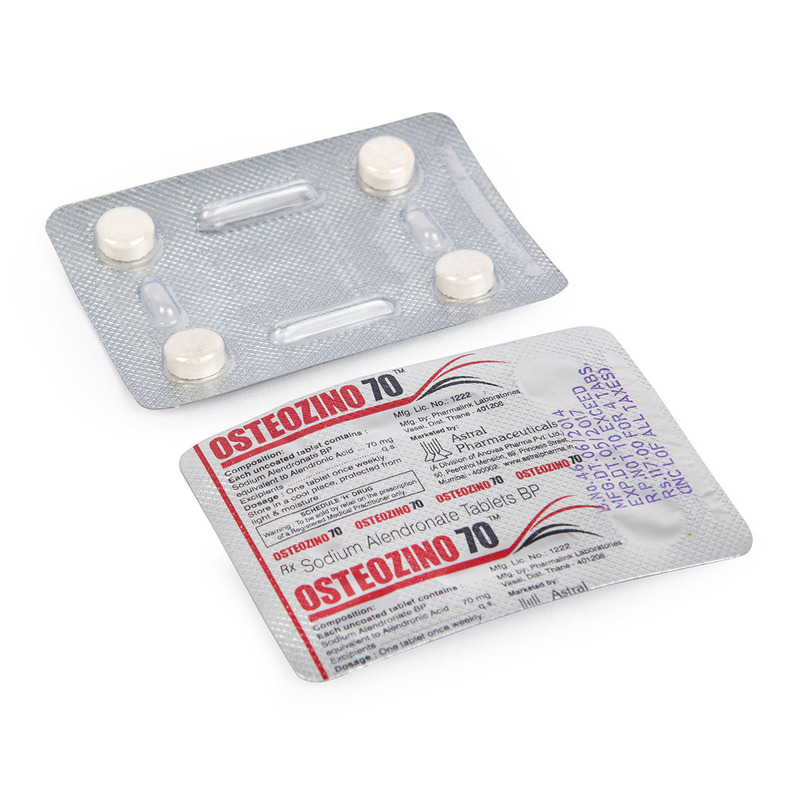 Osteozino restricts the natural process of bone loss in women after menopause & older people. 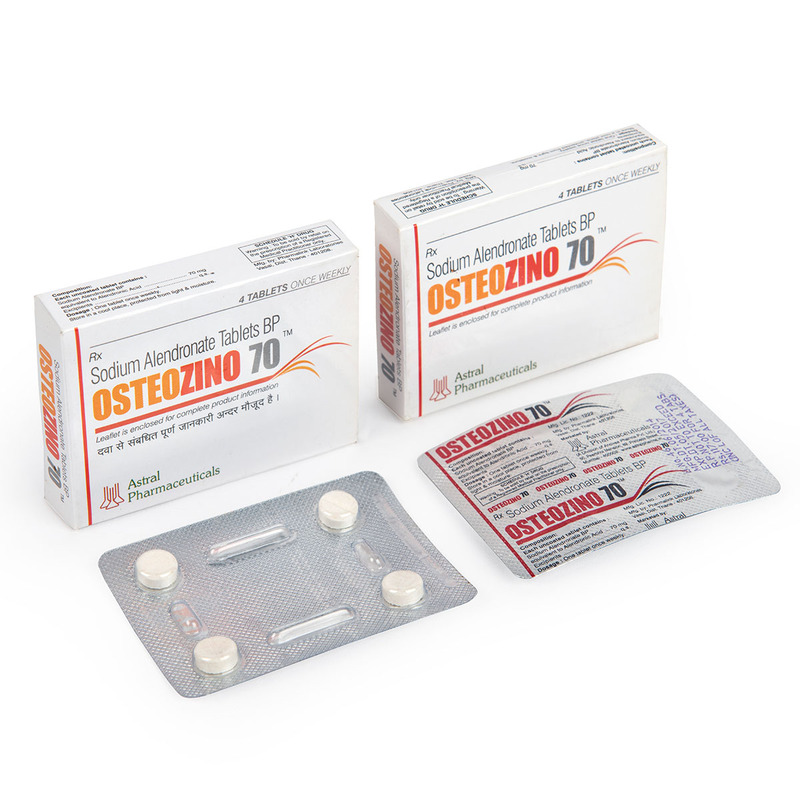 Blister strip of four tablets & 1 X 4 Blister Strips kept in a multicolor laminated small box with leaflet. Alendronate sodium is an oral medication used for treating & preventing Osteoporosis and Paget's (thinning bone) disease of the bone. It is used for osteoporosis in post-menopausal women and people who are at risk of developing osteoporosis. Side effects: normally mild and should be taken care of by a medical doctor.